This weeks episode is the final installment from the live Love or Work event in Atlanta. Jose and Nikolle Reyes are the Principals at Metaleap Creative, an agency here in Atlanta working with brands from Coca-Cola to Paste to In Touch Magazine. 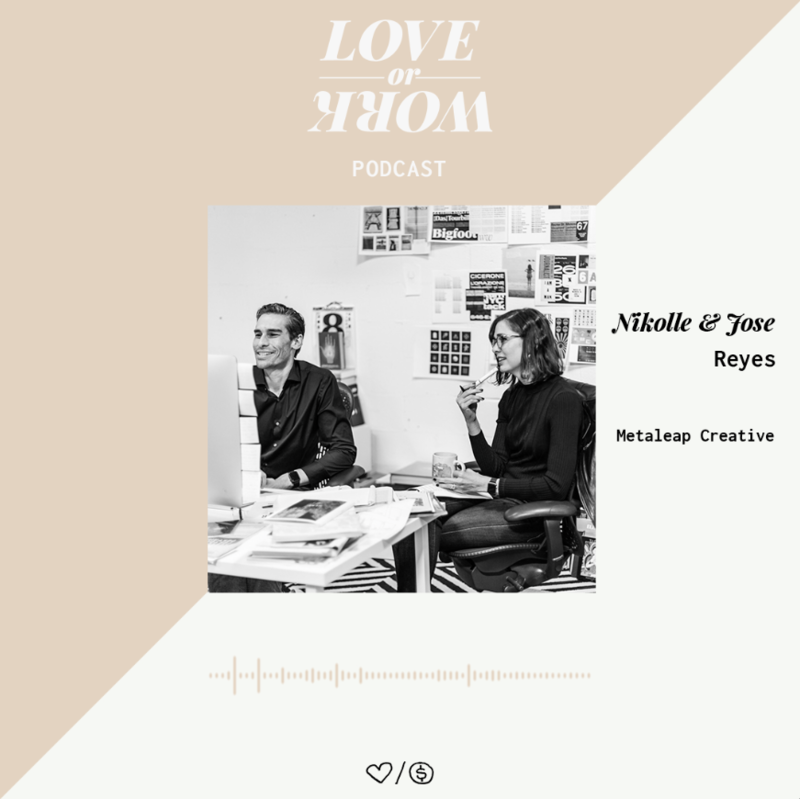 Jose is the Romantic Creative, while Nikolle comes from Wall Street and gets stuff done! The duo has worked together for 15 years, building this agency and building a family. Each summer the Reyes family packs up and heads out of Atlanta for three-five weeks, setting out on an adventure. We hear how they make it happen! Nikolle and Jose also talk about what it's like to live and work together, sitting side by side. How do they navigate separating work and home, maybe they don't! Tune in and learn with us!